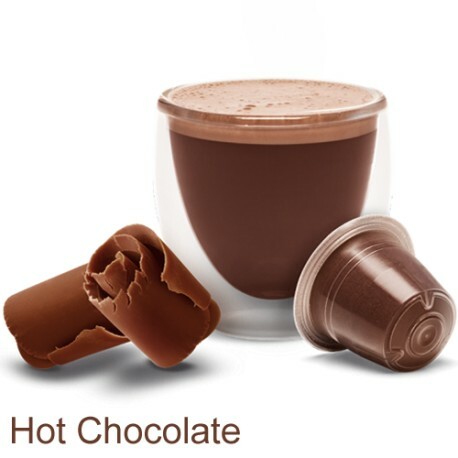 Nespresso Compatible Hot Chocolate – Your Favourite Treat Could Be Good For You! 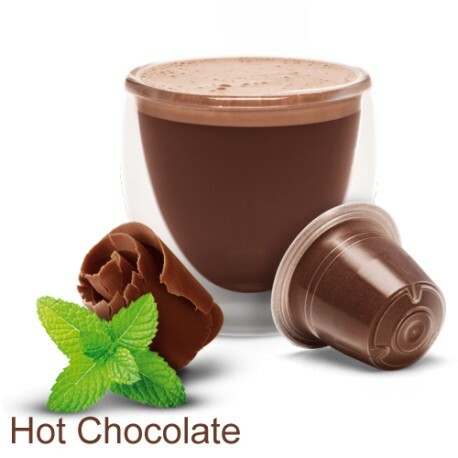 Nespresso Compatible Hot Chocolate – there’s no better treat on a cold winter’s day, or even better, in the evening, when you’re winding down before bed. Did you know, though, that, far from being simply an indulgence, a cup of hot chocolate on a regular basis could have significant health benefits? Now, you can enjoy a superb quality and flavour in every cup, consistently gorgeous every time, when you use Nespresso compatible capsules to make your favourite drink. But why can hot chocolate be good for you and why choose the Nespresso system to make it? Read on to find out more. Drinking chocolate has been enjoyed and indeed used for its medicinal properties for centuries, long before hot chocolate for Nespresso was dreamt up! It’s thought that the Aztecs first invented a chocolate drink around 2,000 years ago; and until the 19th century, it was a recommended medicine for people suffering from stomach and liver disorders. So is there any truth to these supposed health benefits? Well, it’s a known fact that cocoa contains far more antioxidants than both tea and wine, which are often lauded for their beneficial properties - in moderation of course. Antioxidants are substances that neutralise chemicals known as free radicals in your body, which, left uninhibited, can accelerate ageing, and inflammation of the arteries, for example, which increases the potential risk for any number of diseases. A cup of hot chocolate can contain more antioxidants than a standard bar of chocolate, and these are released as the drink is heated up. We’re not saying that Nespresso compatible pod hot chocolate by itself will prevent life-threatening diseases, but every little helps. It’s also been shown through research that chocolate and its derivatives can help improve mood. This is due to the fact that it stimulates a release of endorphins, which can help combat stress, anxiety, and depression. And one final benefit that may appeal – the drink is so satisfying and comforting that you can actually incorporate it into your diet to help lose weight. It reduces the cravings for sugary and high-calorie snacks. So you have your Nespresso machine and can enjoy perfect coffee every time, but you have probably never thought about using it to make other types of drink. However, making Nespresso Compatible Hot Chocolate in your machine is just as easy as making coffee. The main thing to be aware of is that, if you are switching between making the two drinks, it’s essential that you carefully flush out the machine with water for a few seconds afterwards so it doesn’t contaminate your next drink. PODiSTA is the first company in the world to see the potential of producing hot chocolate capsules for Nespresso machine systems. You can’t even buy this drink variety from Nespresso themselves. Does that mean you have to worry about using non-standard pods in your machine? After all, it’s a pretty expensive piece of equipment and you will not want to damage it. Rest assured: hot chocolate Nespresso compatible capsules from PODiSTA have been specially developed for use with all current Nespresso machines. The packaging is guaranteed to withstand extremes of temperature, so you need not be concerned that a capsule will melt in your machine and cause damage. If you have a model that comes equipped with a milk frother, you can create a hot chocolate drink that will rival one bought from your local coffee shop, and all in the comfort of your own home, for a fraction of the cost. Just add marshmallows or curls of grated dark chocolate for that professional finish! Mugpods Ltd is a UK-based online company specialising in sales of PODiSTA coffee and hot chocolate pods to the public, wholesale and trade. 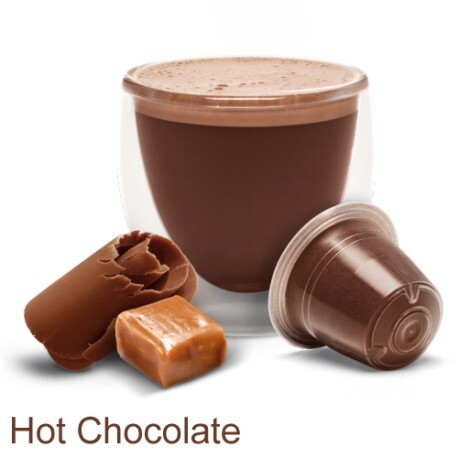 Our Nespresso Compatible Hot Chocolate pods start at just 29p and come in packs of 10, with a minimum of four boxes per order. But with hot chocolate flavours including mint, caramel and hazelnut, an exciting new range of sugar-free chocolate, strawberry and honeycomb drinks for kids, and our ever-popular coffee, which comes in three strengths, the only difficulty you’ll have is which of these Nespresso compatible capsules to choose. View our website for details at https://mugpods.com/, and of course, please do contact us online if you have any queries.